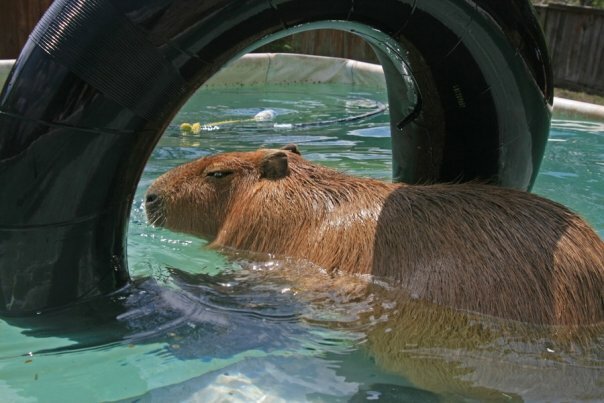 Don’t know how many of you know this, but Japan is the center of capybara culture. We are worshiped in Japan, as we should be worldwide. This love has been cultured and nurtured by the Kapibara-san cartoon. 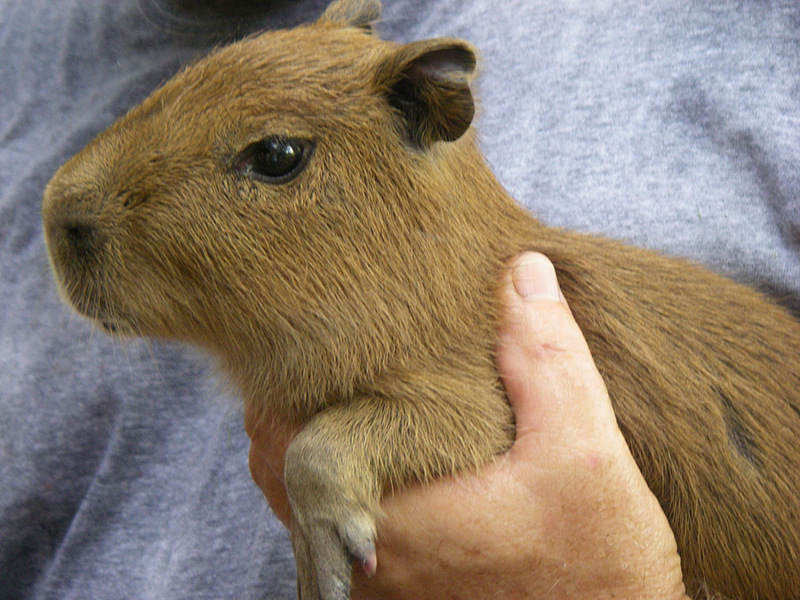 Kapibara-san does not actually look much like a capybara. Sure, they got the big head right. And maybe our cute ears and little mouth. And I’ll have to grant them the big eyes. And we are all nose. 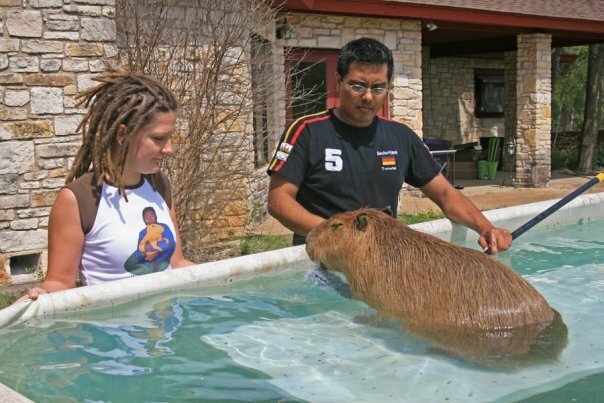 But other than that, Kapibara-san doesn’t even look like a capybara. Specifically, I am referring to the legs, of which Kapibara-san has none. 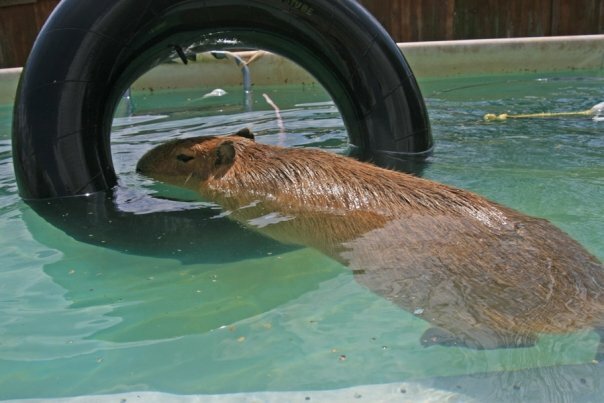 That animal could not swim if its life depended on it (although there is a good chance its life wouldn’t depend on it since it looks like it would float). 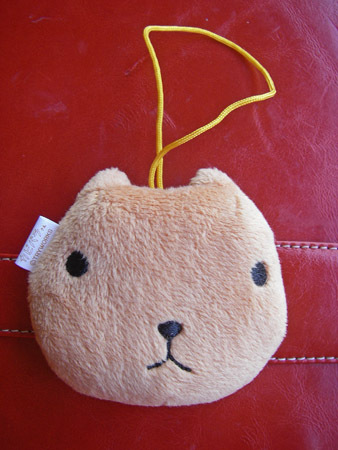 That doesn’t mean that I don’t love Kapibara-san. I do! 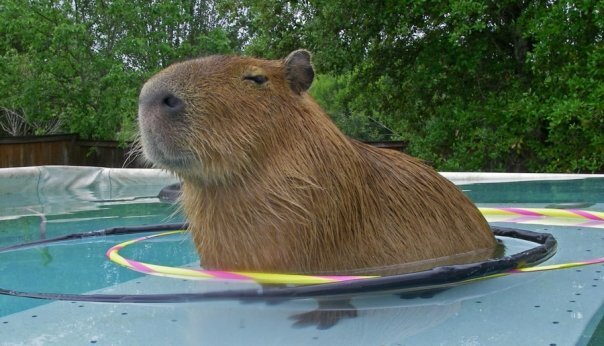 He’s the greatest (next to Capyboppy). And so you can only imagine how excited I was when my twitter friend @kotaro, known as Kotaro Yokoyama on FaceBook, sent me these amazing Kapibara-san artifacts. 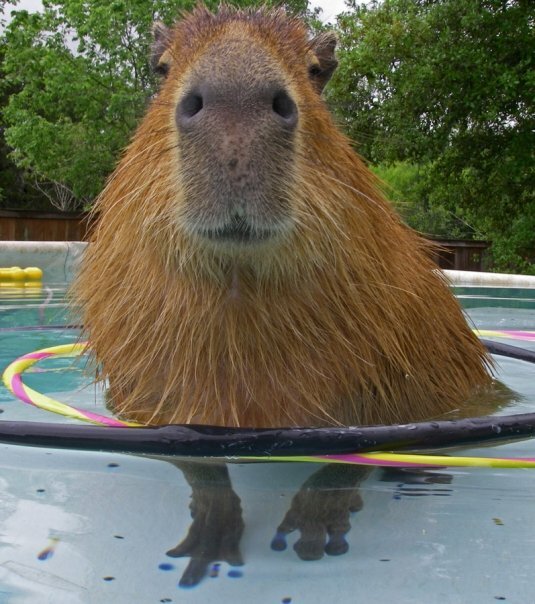 Look how cute that thing is! I could just eat him up! Phone dangles are very big in Japan. My owner said that she went to a big business meeting and all the engineers had dangles on their phones. Why hasn’t that caught on in the US? I hear the iPhone doesn’t even have a place to hang a dangle. 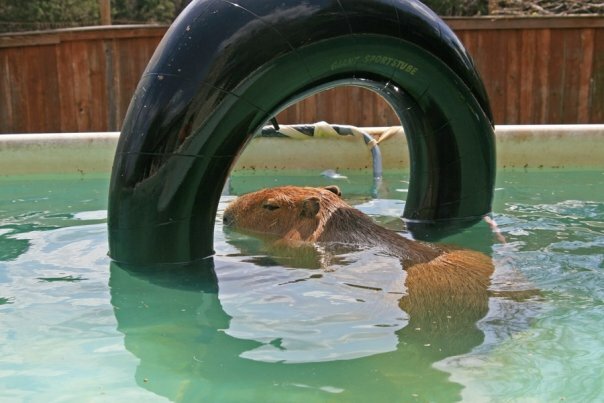 I can’t figure out what the capy is eating though. Is it a pick tomato? Do they have those in Japan? 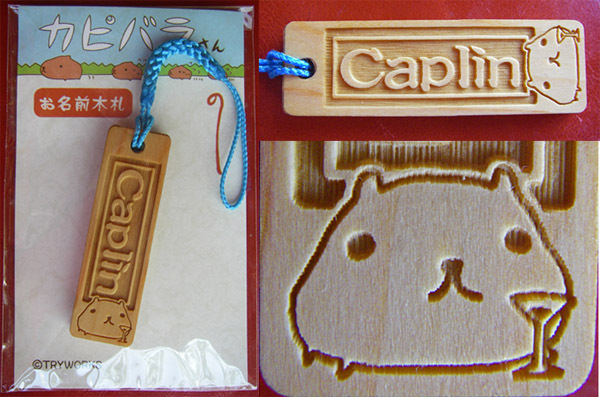 My own Caplin/Kapibara-san phone dangle! I saved the best for last. Look at this! 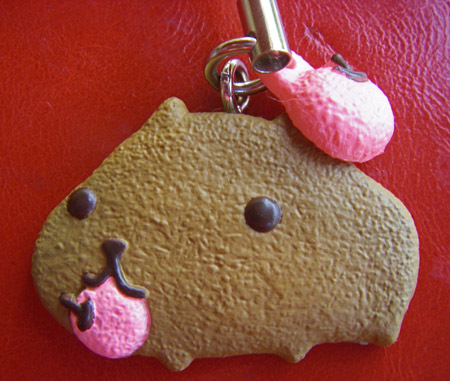 A Kapibara-san phone dangle with my name on it! 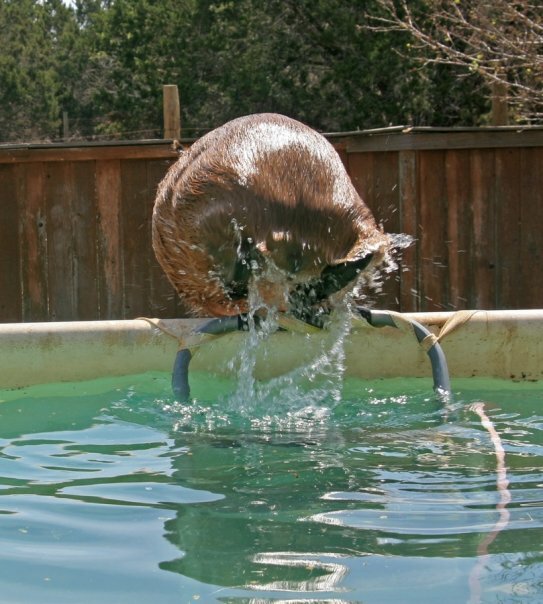 How did he get that? Look, it came in its own little package. Is Caplin a common name in Japan? Then why isn’t it in Japanese script? No, it has to be just for me! Amazing. It does leave one perplexing question…why is Kapibara-san drinking a martini? 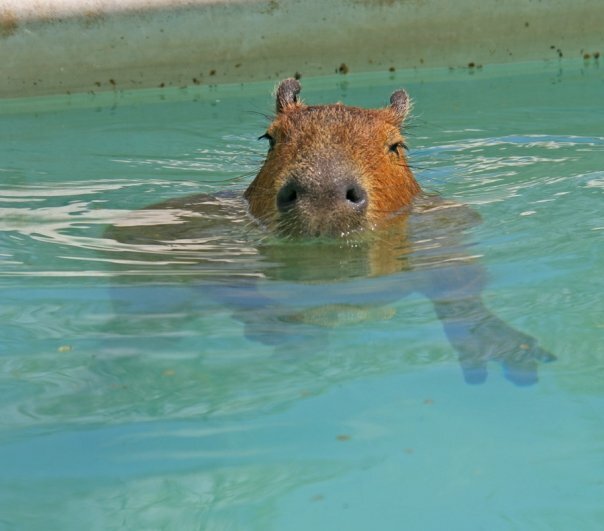 Do Japanese capybaras drink alcohol? And why isn’t it sake then? I think I would like that better. This is a real mystery to which we may never know the answer.